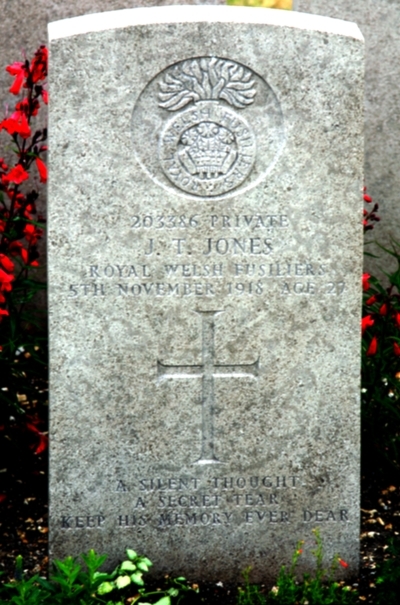 John (Jack) Thomas Jones was born in Flint in 1889 and baptised 14th November, 1889 in St Mary’s Parish Church. He was one of seven children to William Jones and Jane (Thomas). William and Jane were both born in Mostyn and were married in Christ Church, Mostyn on 28th November, 1881. By the late 1880s they had moved to 30, Duke Street, Flint where Jane died on 12th April, 1896 aged 33. She was buried in the Northop Road Cemetery. In 1901 widower William and the children were living at 8, Swan Street then 13, Queen Street 10 years later with just two of the children, Ellis Henry and Agnes. William was employed as a fitter. The 1911 census found John Thomas and brother William Jnr lodging at the home of Mrs Ellen Elizabeth Cartwright at 9, Upper Queen Street. They were both ironworkers. Jack took a shine to Mrs Cartwright’s eldest daughter Alice and they married in 1912. She was born in Stalybridge, Cheshire in 1894 and before the marriage was employed as a reeler at the silk mill. They set up home at 11, Queen Street and had at least two sons; one named John Thoma,s who was baptised at the Parish Church on 24th December, 1916, and James. 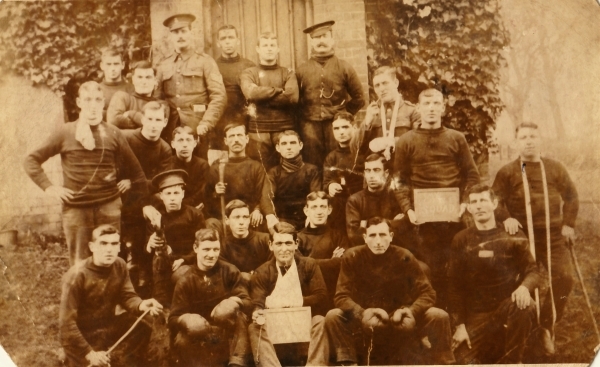 Jack enlisted in Wrexham circa August, 1914 and served with the 1/5th Battalion Royal Welsh Fusiliers, No 12786, and than the 4th Battalion Royal Welsh Fusiliers, No 203386, before being transferred to the Labour Corp. He died of pneumonia in Rouen, France on 5th November, 1918 and was buried in St Sever Cemetery Extension, Rouen, France in Plot S, Row III, Grave 28. Alice re-married in 1921 to Thomas Coddington (1897-1977) and had three children – Elsie, Jane Elizabeth and Alice who died in February, 1928 aged 14 days. They resided at 11, Queen Street. Alice died in 1974 and is buried in the Old London Road Cemetery with her second husband Thomas. Jack’s father William died on 5th February, 1937, aged 77, at his home in 13, Queen Street, and was buried in the Northop Road Cemetery. Obituary: A native of Mostyn, Mr Jones had spent the greater part of is life in Flint and had been employed at the old United Alkali Company’s works, the British Gas Light Company’s works and Courtaulds’ Aber Works from where he retired twelve years ago. He was a well-known figure in the town and was some years ago a member of the old Flint Borough Fire Brigade and carried out the duties of pumpman. He was a member of St Mary’s Parish Church. John Thomas Jnr was a professional footballer and was goalkeeper for Port Vale, Northampton, Wrexham, Oldham and others. 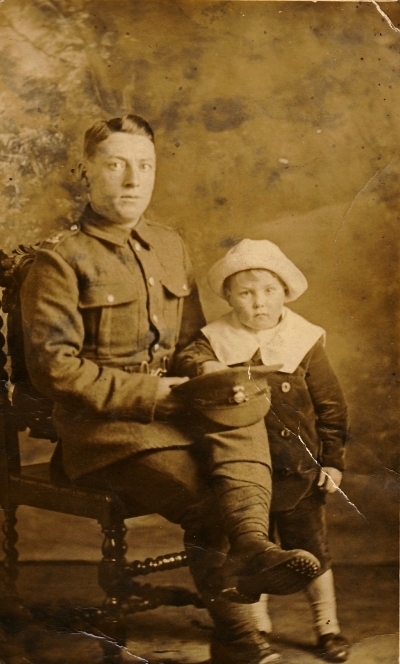 John Thomas Jones with his son James. Many thanks to Michael Jones – the great great nephew of John Thomas Jones – for sharing the photographs on this page.